As the summer comes to a close, the familiar tune of the ice cream truck will be replaced by the routine hum of alarm clocks and school bells. Before the first bell rings, though, you can make a big difference in your community by shopping locally this back-to-school season. 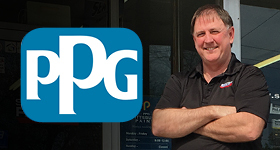 Locally owned, independent businesses offer great products and outstanding customer service, all while giving back to the community and energizing the local economy. According to NRF’s 2014 Back-to-School Survey* conducted by Prosper Insights & Analytics, the average family with children in grades K-12 will spend $669.28 on apparel, shoes, school supplies and electronics. 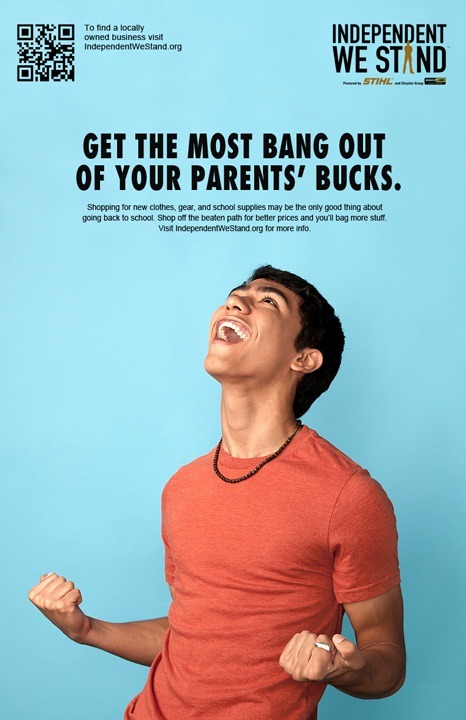 Further, the total of back-to-school and back-to-college spending is estimated at around $74.9 billion. 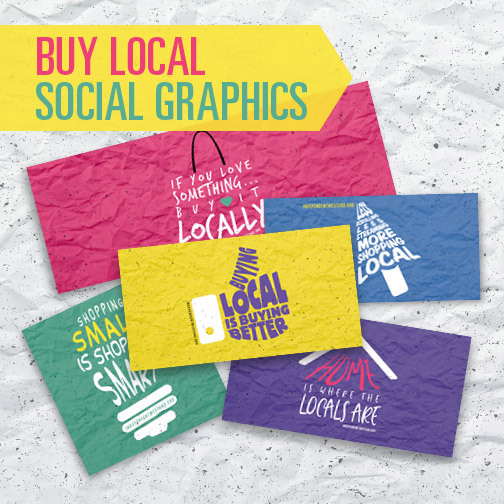 Shift your shopping to a locally owned, independent business this year and generate billions to local economies. That's because independent retailers return 3x more in dollars to local communities than big boxes and national chains by way of taxes, payroll, and consumer purchases. The money that stays in your community helps fund better schools, better law enforcement, and better infrastructure. Try our economic impact calculator to see just how far your back-to-school budget can go in your community. Shopping at local businesses this back-to-school season will also have a broader impact on your community. Local businesses bring diversity, innovation and sustainability to the communities they serve by reducing urban sprawl and creating aesthetically pleasing town centers. By supporting these businesses, you and your family will be helping to preserve the unique character of your community and getting to know the passionate, hardworking individuals in your area. This year, use your back-to-school budget to make a difference in your community. Our local business search will help you find the perfect place to stock up on all your back-to-school essentials, like gym shoes from a local sporting goods store and book-report books from a local bookstore. 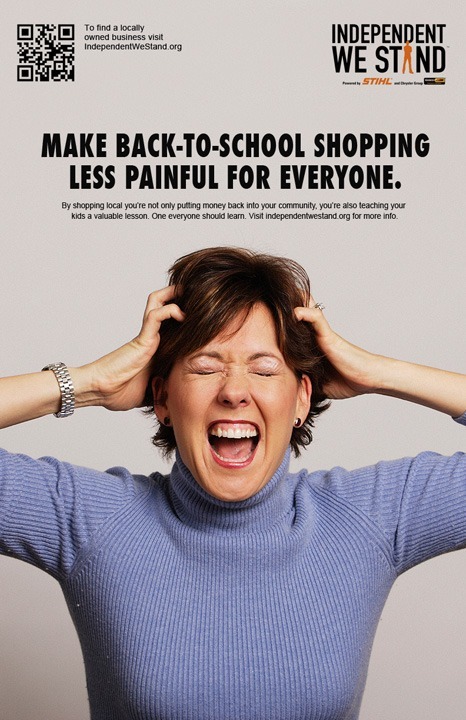 Please help us spread the word by sharing our Back to School posters. Just click on the posters below to download a high res printable pdf. To share on Facebook, use the share icons to the left; or right click on the poster images below and select “View Image” and then “Save Image As” and save to your hard drive. Read more about back to school, economic impact, National Retail Federation, why buy local.